A classic durable brand just as good as you remember. 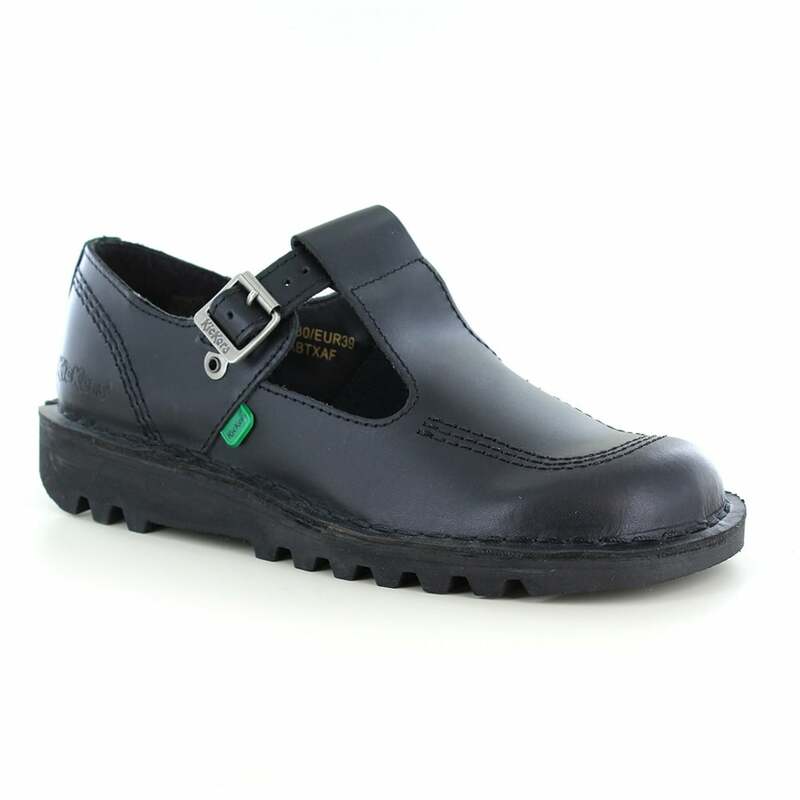 This T-bar shoe has a sturdy smooth easy to polish black leather upper with Classic triple-stitch detailing and the iconic Kickers logo embossed on the heel. Inside there is a comfortable padded neutral leather insole embossed with the Kickers logo. The Kickers Kick Lo Aztec Womens Mary Jane T-Bar Shoes feature green and red Kickers logo tabs and the sole is the trademarked kickers thick durable rubber with a chunky tread.